I made a cool discovery the other day. 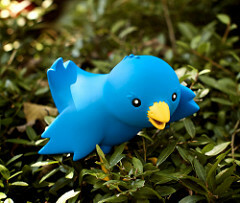 You can use returns in your Twitter bio, which some third-party apps will honour. While it’ll look exactly the same in Twitter itself (as if it’s ignored it) and therefore seem like a completely pointless exercise, other apps show them, which means that you can spread out your Twitter bio across multiple separate lines. 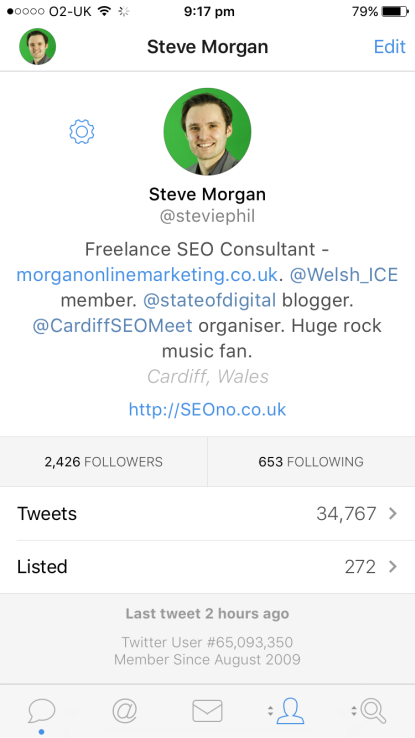 As you can see, it looks like I talk about being a freelance SEO consultant, then something about MOM and Welsh ICE, and then I’m a member of something, and then State of Digital… You get the idea. It feels a little disjointed and hard to read, as the parts that are connected are on separate lines from one another. But fear not, my friend, for you can add enters/returns to the bio of Twitter. Go to your Twitter profile, hit ‘Edit profile’ on the right, make your edits in the box on the left, hit the ‘Save changes’ button on the right, and you’re done. Nice n’ easy, no?